Few weeks ago, Mark Higgins broke the lap record on the Isle of Man TT with a specially prepped 2016 WRX STI Time Attack car. And now Subaru has released the video of how he did it. 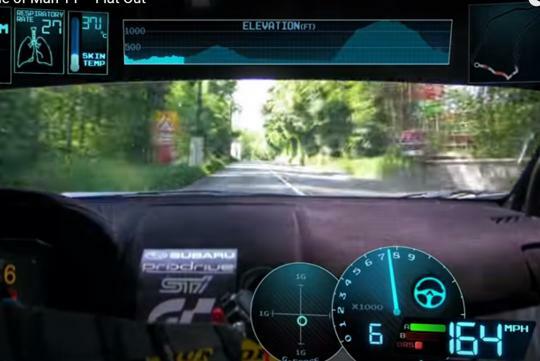 Higgins has been breaking the Isle of Man lap records with Subaru, with the first record being five years ago where he drove a 2011 Subaru WRX STI and set his own record at 19 minutes and 37 seconds. He then broke it again two years ago with a 2015 Subaru WRX STI sedan by going 22 seconds faster. This time round, he did not do it in a nearly stock car, but with a proper race car made in partnership with Prodrive. Obviously it comes with a lot more power under the hood with which he completed the 60km course in 17 minutes and 35 seconds.